7-8:30pm Soup Supper & Bible Study: How do We Hear God? * Those wishing to make their confessions should gather in the chapel and then go with the priest in turn to another part of the church for greater privacy. The following is adapted from the a letter to the parish in the March, 2014 Holy Trinity Newsletter. As we enter the first days of Lent, many of us are belatedly thinking about what we will give up for Lent. I remember several years ago, just after our first child had been born, when Tim and I decided that we would give up sleep for Lent. Given how much sleep we had already given up during Epiphanytide, we didn’t think we could manage giving up anything else! Some of us may be feeling just like that. Epiphany was hard on us this year, what with the weather and with the inevitable bumps and bruises of a transition period. We are hanging on, but our reserves are low—financially and otherwise. How, in the name of God, can we possibly give up anything else? The key, of course, is giving it up in the name of God. 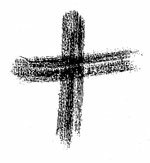 In the Ash Wednesday service, we are reminded that even the earliest Christians used Lent as a time when “the whole congregation was put in mind of the message of pardon and absolution set forth in the Gospel of our Savior.” In other words, Lent is a time when what we give up are our burdens of sin and shame. Unless you are giving up a sinful habit—say, the chocolate you have been stealing out of someone else’s candy bowl—the habits you change during Lent serve as a reminder of the spiritual habits you are trying, in the name of God, to change. Do you bear a burden of anger or resentment that you are ready to lay down? Try setting it down for a moment or two at a time, not denying the burden, but allowing God to carry both it and you and that other person or situation. This is not an easy thing. Just as we have to practice realizing that we can live without chocolate, so also do we have to practice realizing what it is like to live without our resentments. Do you bear a burden of anxiety? Try setting that down for a moment or two! Worrying about things is a way in which we try to control outcomes that are beyond our authority. Try returning the situation to its proper authority, pausing to praise the God in whose love all things work for good. Practice, just as you practice a new way of eating, attending primarily to the outcomes that are within your own authority to control. Some burdens are harder to put down than others. For these, the church has long offered the sacrament of Confession as a way of formally enlisting the help of God and of the church as we engage the difficult practices of self-examination, repentance and reconciliation. Sacramental confession is available to you at any time by appointment. During Lent, sacramental confession will also be available regularly in the St. Joseph chapel on Tuesdays between 5:30 and 6:15pm. If you have any questions about which form might be right for you, do not hesitate to ask. The rule about confession in the Episcopal church is: all may, none must, some should.